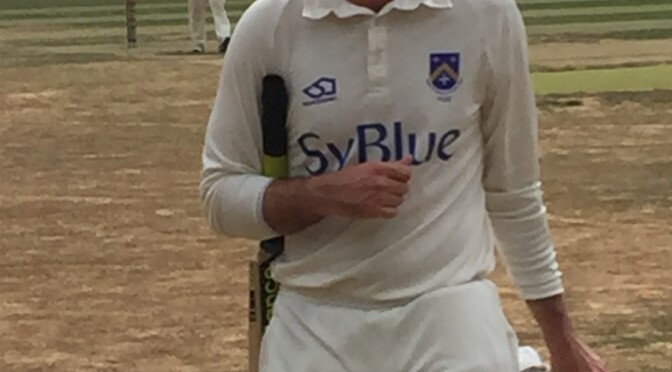 A long overdue maiden century for the Club for Tom Frost was the highlight of a good win in the annual all-day game as part of Claygate’s cricket week. Batting first having won the toss Billy Zander and Frost went off at a furious pace; adding 41 from the first three overs and keeping the rate over tens until Zander checked out for 51 from just 26 balls faced with the total on 109 in just the 11th over. Frost was equally fluent, needing just 35 balls to reach his half-century and then another 52 to move to 103. He lunched on 116 not out with Roddy Kelso 37 not out having played himself in then going through the gears himself. 208 for 1 after 29. 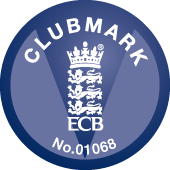 Frost, (2×6, 18×4), fell to a good catch in the deep off the second ball he faced – his 100th in total – after the re-start with just a single added; this ended a 2nd wicket stand of 110. No.4 Carel Ferreira continued his good form and made a nice 21 before being castled by Sapsed. 265 for 3 was soon 285 for 4 when Kelso, (Stoke career best of 79 from 76 deliveries), was lost to a run out. Stoke lost a couple of wickets as the declaration loomed but there was time for Thomas Dennis to hit a nice run-a-ball 15 not out, and Will Thomson 10 not out take the total to 317 for 6 after 49 overs. 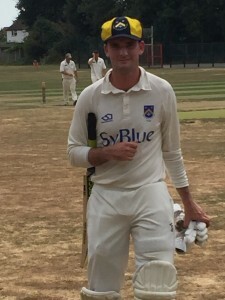 Suitably toasted, the opposition made a poor start to their chase courtesy of Ben Townsend who despatched the first three batsmen at a personal cost of just ten runs to make it 20 for 3. Walker cut to Kelso at gully, Townsend held a return catch to account for Ross then Murray followed next ball. Some exploratory overs of spin from Zander before the tea break was enough research to start with Patrick O’Neill when play resumed. He bowled seven good overs without luck before an eighth spoiled his figures. The pressure he created allowed Rod Thomson to pick up two wickets at the other end; Price, (30), somehow managed to sky one to Will Thomson standing up; then former pro-footballer Talboys was sent on his way courtesy of a leg-before decision given by the home umpire. Ferreira took out the next two in a three over burst that saw Roberts castled for 7 then Townsend juggled a high catch to remove home skipper Labacik for 4. 122 for 7. Stoke were in the ascendancy but still had a very real problem to solve in Sapsed who played positively and hit the ball very well. Had one of the top order stayed with him the target set was very gettable on a good pitch, fast outfield and the in-field trees in play. An entertaining, (or frustrating depending on who you were supporting), partnership of 66 for the 8th wicket kept the home side up with the rate. Schultz clubbed 30 of them before swinging at one too many and was cleaned up by Zander. Townsend returned to the attack and was unlucky not to add to his count but still returned the match’s best figures of 3 for 45. The match was closed by Tarrant who castled Sapsed for a fine 111, (2×6, 22×4), then he snicked off last man Webb to finish with 2 for 19; Will Thomson making a nice one-handed grab to complete a 98 run win with 9.2 overs to go. Had the game gone the distance Stoke might have needed all of the runs they piled on. Thanks as ever to Claygate for their hospitality and to the players who made this fixture happen. All being well we’ll be back for more next year.